There are plenty of examples online (https://learn.adafruit.com/getting-started-with-rtl-sdr-and-sdr-sharp/overview) on how to receive images from NOAA satellites using SDR. This post will be about my experiences and ideas on how to improve the process I used. There are several items needed before having a finished image. These were the pieces used in my setup and some description about each. The first is the SDR hardware. Obviously this will be a requirement. It’s the typical DVB-T USB device most commonly used for SDR. I won’t go into further detail about it here, there are plenty of details about it online, for example https://en.wikipedia.org/wiki/DVB-T. The next part is the SDR software. I have used 2 different programs, GQRX on linux and SDRSharp on windows. I’ve found that the GQRX release under Ubuntu doesn’t work as expected, so I refer to this link http://gqrx.dk/. Here you can find ports for RPi and Mac. SDRSharp is available here, https://airspy.com/. Another item that I used was a radio frequency wide band amplifier that boosted the signal. This is inexpensive and I can use if for other RF related tasks. 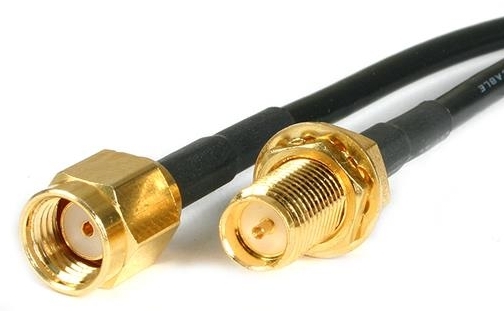 Amazon sells them, do a search for “WideBand Amplifier”. The amplifier is powered by a 7-13vdc source. I use a 12 volt source from an ATX power supply at my work bench or a 9 volt battery when outside. This device connects in between the antenna and the DVB-T device. Finally, I used SMA cables with the appropriate male/female connectors to link up all of the hardware, these are easy to find on Amazon. Planning for a pass in advance pays off. I’ve also found that the satellite tracking should be updated with regularity. The prediction tables have some error and updating offsets this fault. 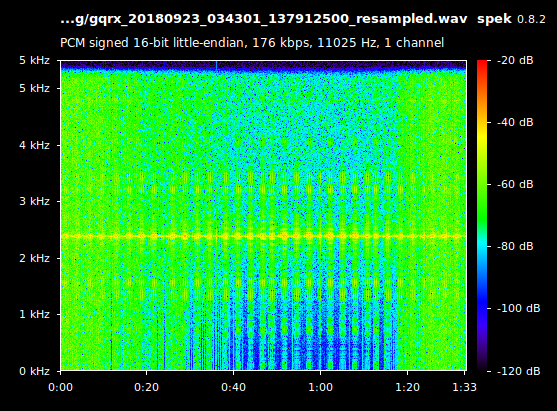 Another thing that I found out was that the recorded audio sample rate needs to be changed to mono at a 11khz sampling rate for wxtoimg to recognize it. Speaking of wxtoimg, it doesn’t appear to be around anymore, except for some mirrors, https://wxtoimgrestored.xyz/downloads/. There are other players when it comes to APT decoding, http://www.g4ilo.com/imgcmp.html is an example. The nice thing about decoding is it can be done long after a satellite has passed. Worthy of mention was this site, http://websterling.com/tsro/apt/. The use GNURadio in the project realy lends iteself well for other RF related projects, check it out https://www.gnuradio.org.